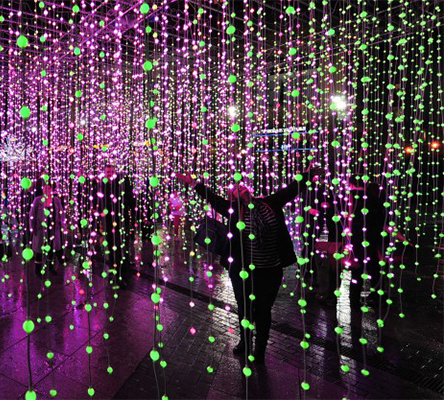 Canary Wharf Winter Lights returns for a fifth year bringing together some of the most imaginative and exciting international artists working with light art today. The festival draws upon state-of-the-art light technology to deliver spectacular artworks, installations and experiences – many of them interactive or responsive – and has continued to gather pace with bigger and brighter installations every year. Among this year’s installations are the works of Kinetica Artist Member Oskar Krajewski, who is showing his intricate ‘Recyclism’ works made from recycled materials such as unwanted toys, old computer parts and objects used everyday. Other highlights include Blue Neuron from Zac Greening, and don’t miss the Squidsoup immersive light experience ‘Submergence’.